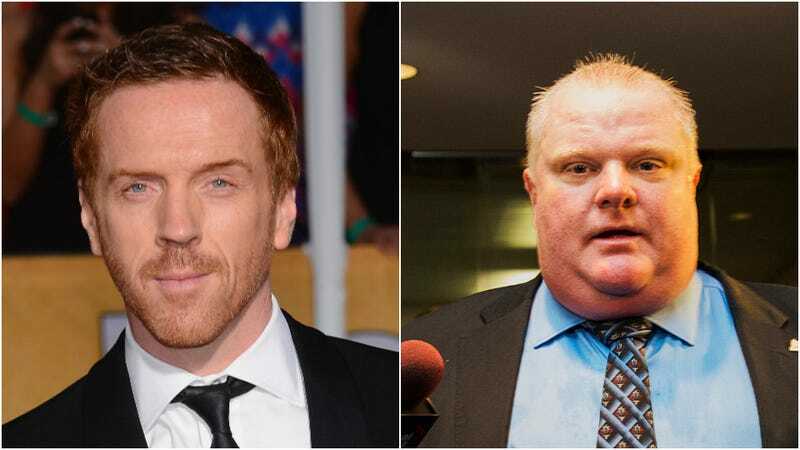 That’s presumably why Homeland’s Damian Lewis is donning a prosthetic for his role as Ford in an upcoming drama film called Run This Town, which is currently shooting in Toronto. Not a whole lot is known about the film beyond Lewis’ role as Ford, and that it centers around a fictional reporter played by Ben Platt who “attempts to expose a scandal involving a politician who doesn’t play by the rules.” That’s certainly one way to put it. Nina Dobrev, Mena Massoud, Scott Speedman, and Jennifer Ehle co-star in the film. Actor Ricky Tollman will be making his directorial debut.